One celebrity is using her voice to make sure you hear Hillary Clinton roar. 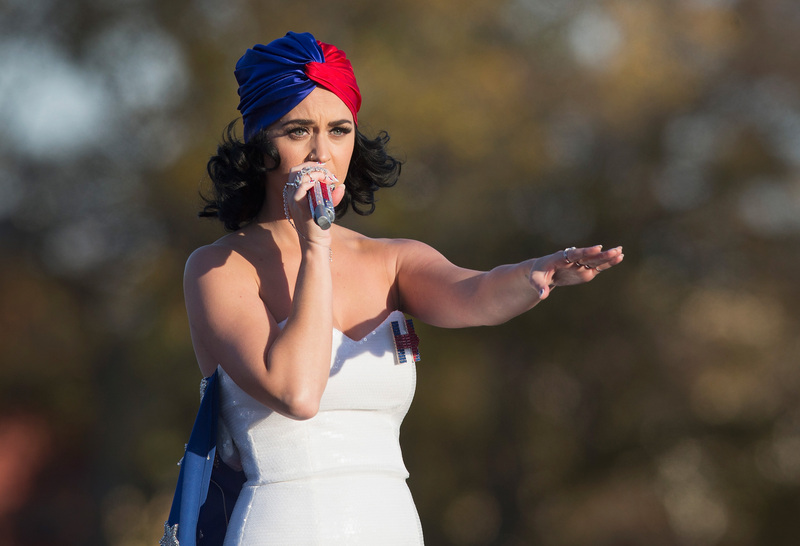 On Monday, it was revealed that pop singer Katy Perry teamed up with Clinton's campaign in a contest to encourage voters to volunteer and make phone calls on the candidate's behalf in anticipation of the upcoming March primaries. The "Roar" singer has recorded a message exclusively for Clinton's presidential campaign to recruit more voters to proclaim #ImWithHer. Perry's latest collaboration with Hillary for America isn't exactly a surprise; she has been stumping for Clinton for months. In October, the Grammy-nominated singer performed at a concert for Clinton in Des Moines, Iowa, telling the crowd, "Listen, you have so much power, and this is going to be one of the most important elections in over a decade. So much change can happen. Let’s go, Hillary!” She also said of the former secretary of state, “She’s my firework." As part of Perry's contest with the I'm With Hillary campaign, those who text KATY to 47246 to hear Perry's message for Clinton will be automatically entered in a contest to win a brooch that the singer wore during that performance at Radio City Music Hall. The winner will also be graced with their own customized message from the singer. Clinton has had no trouble recruiting young female celebrities. Beyoncé Knowles, Ariana Grande, and Kim Kardashian have also voiced (or tweeted) their support for her. Currently, Clinton is leading by leaps and bounds in the race for delegates. She can claim 658 delegates (along with 458 superdelegates pledged to support her), while her opponent Bernie Sanders has 471 (and 22 superdelegates). Still, she still hasn't sealed the party's nomination just yet. It remains to be seen whether Perry will be the firework that will help Clinton "shoot across the sky-y-y."